Maybe he cried for the pain in the throat that caused him who drank the poison to save the world during the Samutramanthan, the Churning of the cosmic ocean, or maybe his were tears of joy for having destroyed Tripura, the city of demons, other texts provide that they were tears of pain because he had failed to support meditation, or even they was tears flowed after he had ascertained the condition of the world. The fact is that Shiva wept and from those tears born the sacred plant of Rudraksha whose seeds are considered sacred. 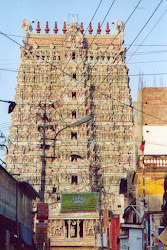 The name comes from Sanskrit, Rudra is another name for Shiva and akshan means eye. 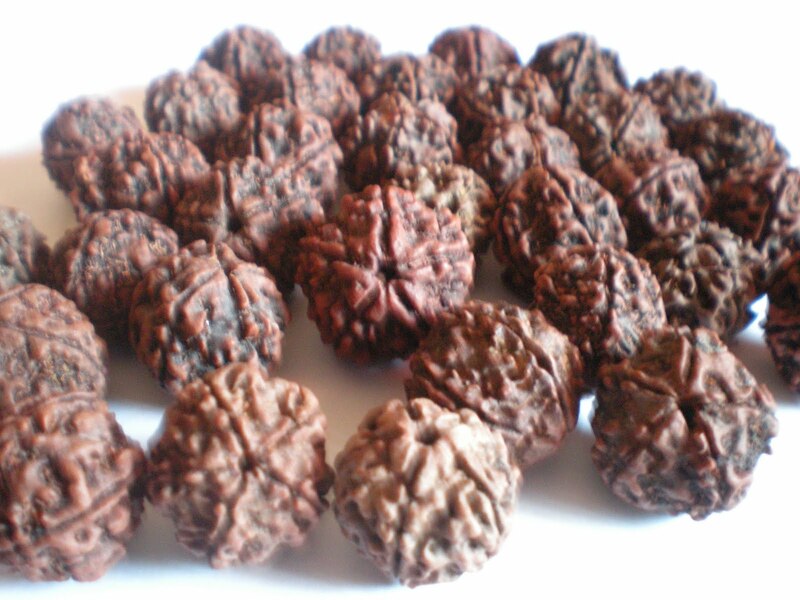 According to Hinduism rudraksha seeds have religious, mystical and healing powers and meanings. These are the seeds from which they are made rosaries Indians, japamala, although the vast majority of those who are on the market are not made with these seeds, but with other less expensive materials. You can do with rudraksha bracelets, earrings, pendants and Necklaces. From a botanical point of view the rudraksha tree is an evergreen called Elaeocarpus ganitrus born in certain regions of India and Asia and produces a bluish berries about the size of a walnut. The seeds are very special because they are divided into segments and channels run through and have a hole in the center. According to Ayurvedic medicine to wear rudraksha seeds emit electromagnetic waves that have beneficial effects on the heart, nervous system and blood pressure and relieve stress, depression, anxiety and mental fatigue. The seeds are based on the number of distinct segments or those faces which are divided mukhi (Sanskrit mukha means face) and there are rare rudraksha, mukhi like that with only one of which says it is one born every three years. 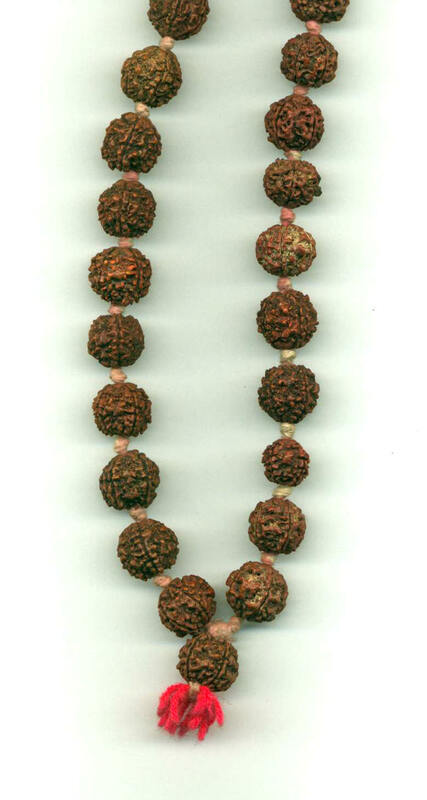 The rudraksha rarer, they cost a lot and often unscrupulous traders selling fake rudraksha. There are signs to be aware whether the seed is true or not (do not float in water, they resist even if they are boiled, they have grooves around the hole, etc..) But only an expert can avoid being deceived. The most common rudraksha instead are cheaper. Each seed has a god reference, a specific mantra and certain powers and benefits. The one-mukhi rudraksha is, for example, dedicated to Lord Shiva, the two-mukhi to Vishnu, the one from Agni, the four Brahma, the eight mukhi is dedicated to Ganesh. Why is Bombay in a hurry to forget its dead? Perchè Mumbai ha fretta di dimenticare?